The Easy is ideal for a small office where there is a need for high quality coffee but demand is relatively low. The machine is “Easy by name and easy by nature”! It is simple to look after with less maintenance involved than a bean to cup machine. 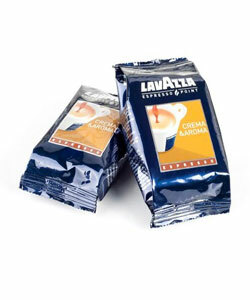 The Lavazza coffee pods that it uses are individually sealed for freshness meaning that every coffee is as good as it would be if made from freshly ground beans, but without the hassle. Unlike some other pod systems that are available in the market today the internal whitener and chocolate canisters allow for the dispense of cappuccino, latte, mocha and hot chocolate as well as the black coffee and espresso. The Lavazza brand ensures that only the highest quality drinks are produced and the coffee that is produced is brewed under pressure as a genuine espresso should be. It is worth noting that the Easy cannot be directly plumbed into the water supply and as such will need to be filled by hand. The water tank is 3.6 litres in size and, providing it is situated in a low usage environment, should not need filling too often. The waste container will hold 25 empty pods . The Easy is a simple and low cost way of providing great quality coffee in a small office, meeting room or reception area. We can supply the machine and all of the service back up that you may require across London. We also supply all of the consumables that you will need including the coffee pods, Suchard or Cadbury chocolate powder and Milfresh whitener. A wide range of disposable cups, stirrers, sugar sachets and lids are also available including a number of Lavazza branded items. Find out more about our Rental Coffee Machines. Find out more about our Coffee Machine Leasing. Find out more about buying your coffee machine. 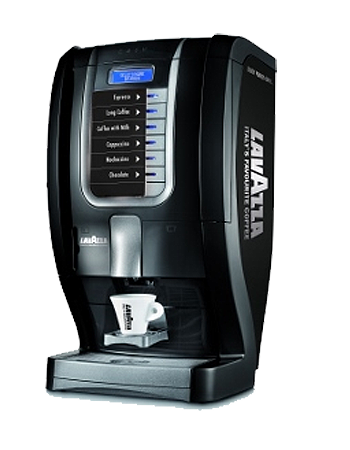 Our in-house team of technicians are on hand to solve any problems that you may have with your Lavazza Easy Pod Coffee Machine, or any of our other other rental or Lease coffee machines.